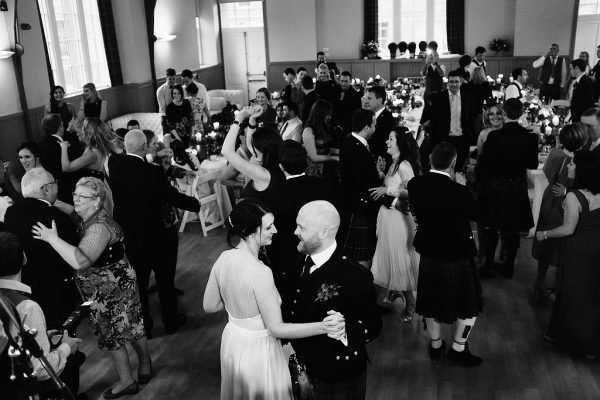 A wonderful space already, St Boswells Village Hall was decorated like never before! Carly’s eye for design made the brief exciting and allowed us lots of scope of creating something truly original. 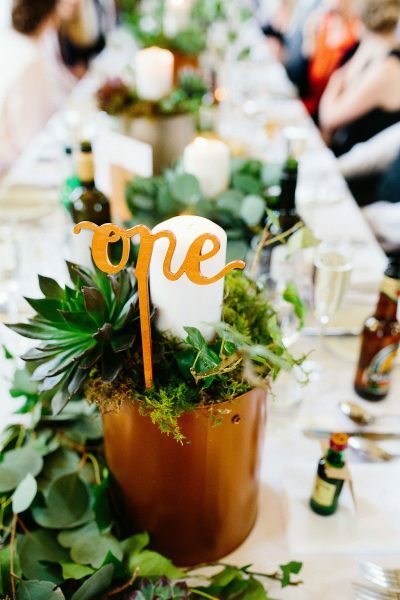 Using accents of copper and other metallics we decorated the trestle tables with garlands of ivy, metallic painted paint cans and lots and lots of succulents. Add in sparkle in the form of lots of tea lights in small votives and the tables looked splendid. 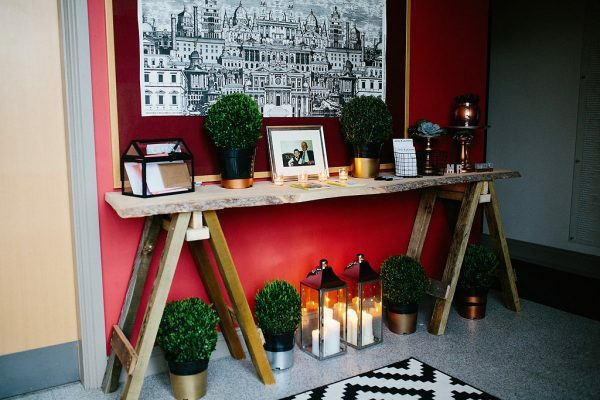 We created a speak easy area in the entrance hall with a rustic console table, lanterns and small box bushes. 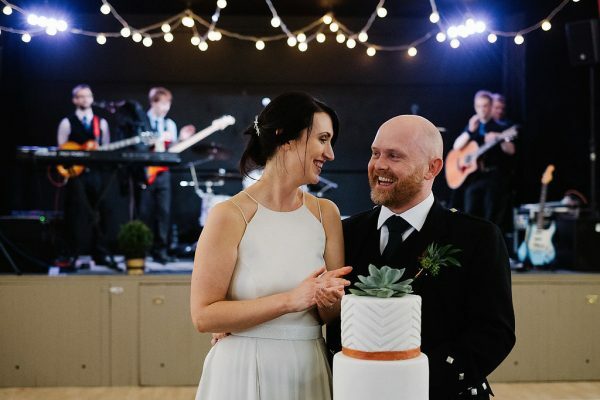 The client’s own rugs were used in the entrance hall and then carrying through the same style to being under the barrel upon which the wedding cake was displayed. Informal criss crossed festoon lighting provided the backdrop on stage for the band. 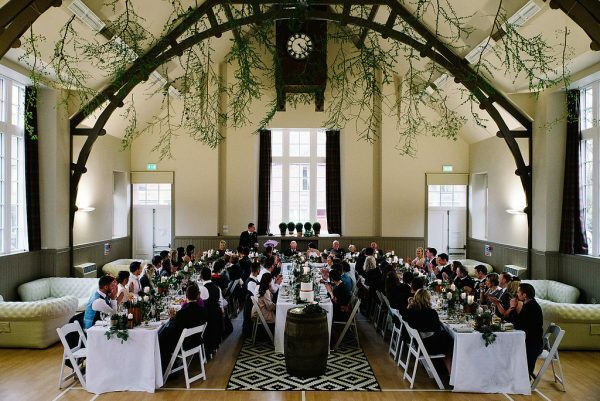 For a bright look at a spring time wedding the vibrant greens of fresh larch branches gave the high ceiling hall a really great look. We suspended the branches from the beams using a very tall ladder and lots of twine! 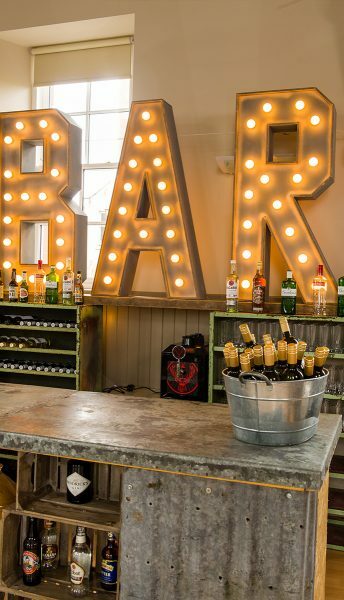 Our rustic pop up bar and light up B A R letters and inflatable chesterfield sofas finished off the look. 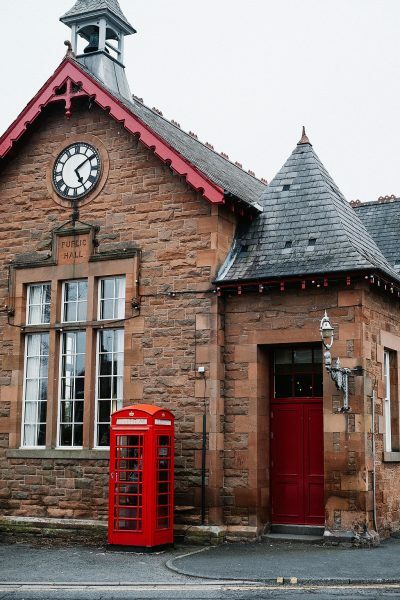 Village Halls offer great value for money and as you can see are wonderful to decorate. Images by Euan Robertson and Kevin Greenfield.